We celebrate Earth Day every year on the 22nd of April. The Earth Day is one occasion to celebrate the presence and significance of our natural environment as well as its resources. People all across the world do many different things to celebrate this day. Many of such activities are centered towards making people more aware regarding how can we preserve and save our environment. Plan an art and craft exhibition. An art and craft activity can be conducted. 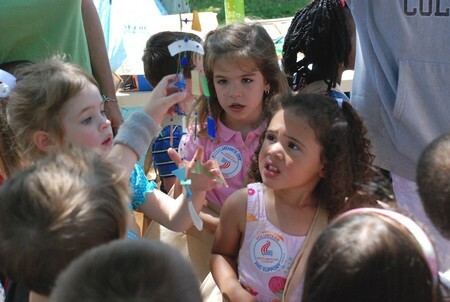 Ensure that the kids use recycled materials only to make earth crafts. Go ahead and put up a display or exhibition of these crafts. This will have a two fold advantage of making them creative and promoting the use of recycled materials. Organize clean up drives. You can even organize clean up drives in parks or your neighborhood to celebrate Earth Day. Make the kids collect the litter that they find on the earth and separate based on their biodegradability. Make provisions for different containers for biodegradable as well as non-biodegradable materials. Make it a contest activity with prizes so that the kids do the work willingly. Make posters for Earth Day. You can involve the kids in making some Earth Day posters that carry messages to save and preserve the earth and its environment. Make huge posters that can be put up on streets. This is a very beneficial activity, as people will be reminded of their responsibility towards the Earth. Watch videos related to the Earth. Make kids watch such videos that enhance their knowledge and help them to realize how they can help the environment. This will make the kids realize small and little steps that they can take to preserve nature. You can even make the kids sing some Earth Day songs and poems. Make the activity interactive by asking them what they liked or learnt from the activity. Take up a tree planting activity. Tree planting activity is probably the most conventional way to celebrate Earth Day. Guide the kids as to how they can properly plant trees. However, make sure that the kids take proper care of the plants for at least a year to complete the activity. Explain to them the role played by trees in maintaining a healthy atmosphere for us as a part of your activity. Make them plant some trees in the local parks or even their own backyards. These activities organized on the Earth Day will help the kids to realize the true worth of Earth. This day can be best utilized in giving back to mother nature. Some small-scale activities like wearing earth colored clothes or refusing to use transportation can also be done to celebrate Earth Day. Such an activity maybe a very tiny step, but if many people do such things, it will be a sure shot success for the Earth Day.